오늘 우리는 급변하는 사회 속에서, 또 너무나도 요구하는 것이 많은 현실 속에서 하나님의 말씀의 능력이 점차 희미해져 가고 있는 것 같은 느낌을 지울 수가 없습니다. 우리 휄로쉽교회는 이 하나님의 말씀의 진리를 다시 밝혀 모든 인간의 참된 소망은 오직 말씀의 회복에 있다는 것을 증명하기 원합니다. 저는 과거 16세기 종교 개혁기를 비롯한 17,18세기 서구 유럽의 폭발적인 성령의 부흥의 역사가 모든 사람들이 소돔과 고모라땅과 같다고 하는 라스베가스에도 반드시 재현 될 수 있다고 굳게 믿고 있습니다. 그러나 그것은 막연한 종교적인 열심과 프로그램으로 되는 것은 아니며, 외형적인 교회개혁으로 되어지는 것이 아닙니다. 오직 하나님의 말씀이 구체적으로 명확하게 밝혀짐으로서만이 가능한 일입니다. 우리 라스베가스 휄로쉽교회의 역사적인 사명은 바로 여기에 있습니다. 어떻게 해서든지 사람들의 관심 밖으로 꺼져가는 말씀의 능력을 다시 맛보도록 하는 이것이 오늘 우리 휄로쉽교회의 사명임을 저는 확신합니다. 기회가 되시면 저희교회를 한 번 방문하셔서 예배 드리시기를 바랍니다. 아직 신앙생활을 해보지 않았던 분이나 여러가지 사정으로 교회를 중단한 분이 계시다면 이번 기회에 휄로쉽교회로 오셔서 같이 천국을 향한 신앙여정에 동참해 보시는것은 어떠신지요? 우리 라스베가스 휄로쉽교회의 문은 누구에게나 열려있습니다. 누구든지 말씀에 갈급한 사람들은 오라는 것입니다. '값없이 돈없이 맘껏 포도주와 젖을 사 갈 수 있다'는 것입니다. 여러분 모두에게 하나님께서 말할 수 없는 은혜로 복 주시기를 기도합니다. Today, we cannot omit the feeling where the power of God’s Word gradually fades in a rapidly changing society, as we simultaneously demand so much of reality. Fellowship Church wants to reveal the truth of the Word of God and prove that the true hope of every human being can only be filled by the restoration of the Word. I firmly believe that the history of the 16th century Reformation, as well as Western Europe’s 17th and 18th century history on the renovation of the Holy Spirit, can be reenacted in Las Vegas, where it is described as the land of Sodom and Gomorrah. However, it cannot be achieved through religious works and programs, nor outward church reformation, but can only happen through the specific clarification of the Word of God. This is the mission of Fellowship Church. To, at the very least, give a taste of the power of the Word. If you ever have an opportunity, join us in a time of worship! Even if you have never participated in any religious activity, or have stopped attending church. 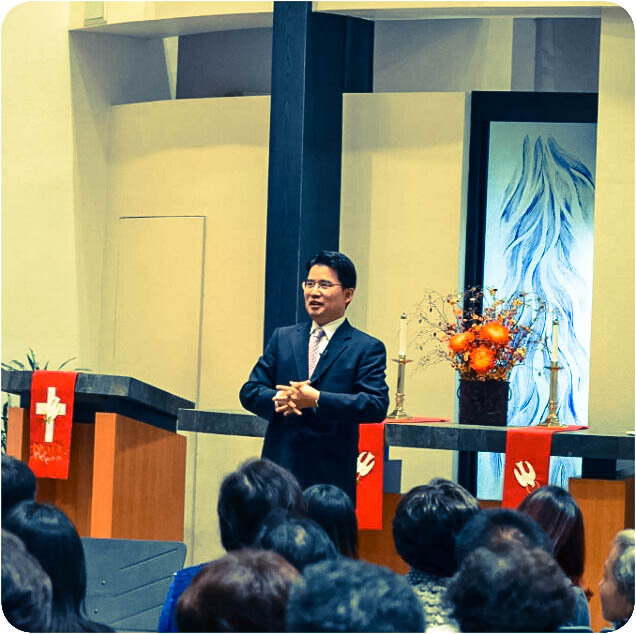 We welcome you to take the chance to hear God's Word once more. The doors of Fellowship Church are opened to anyone and everyone who hungers for the Word of God. I pray that everyone may receive the grace of God. 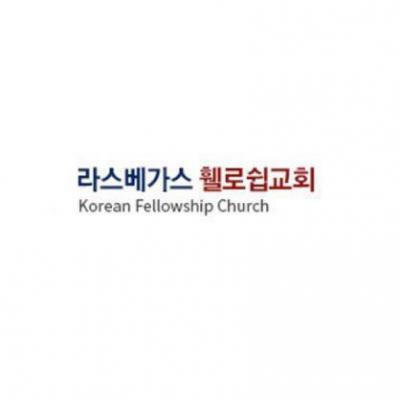 메인 예배​/Main Service: 11 a.m. & 1 p.m.
중고등부 예배​/Youth Service: 1 p.m.
주일 학교​/Sunday School: 1 p.m.
화요일 ~ 토요일​/Tuesday - Saturday: 6 a.m.
성경통독강의 3차가 시작되었습니다. 올 2019년 33번의 계획된 강의가 하나님의 은혜가운데 잘 진행되길 바랍니다. 특히 수강자 아이들을 돌봐주시는 봉사자들이 계시기에 아기 엄마들도 같이 함께 할수 있네요.